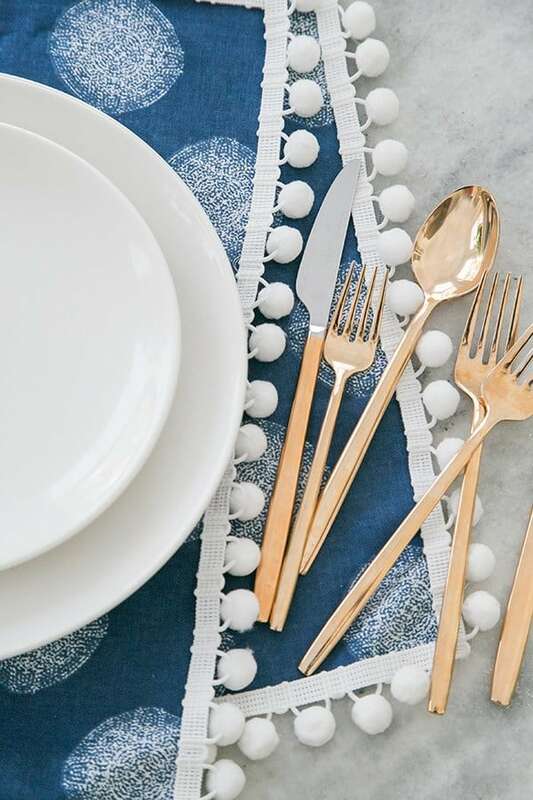 Easy Entertaining: DIY Pom Pom Placemats! 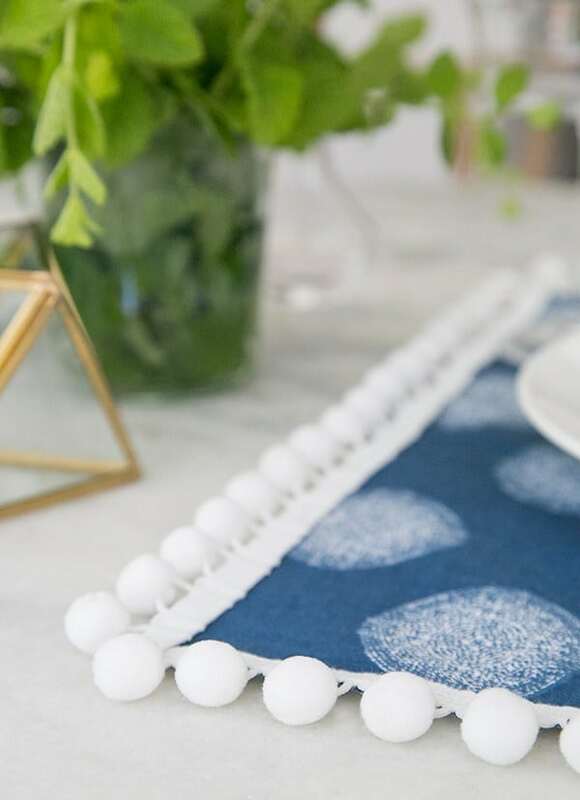 These adorable DIY pom pom placemats add a fun and charming touch when setting the table and they’re incredibly easy to make! 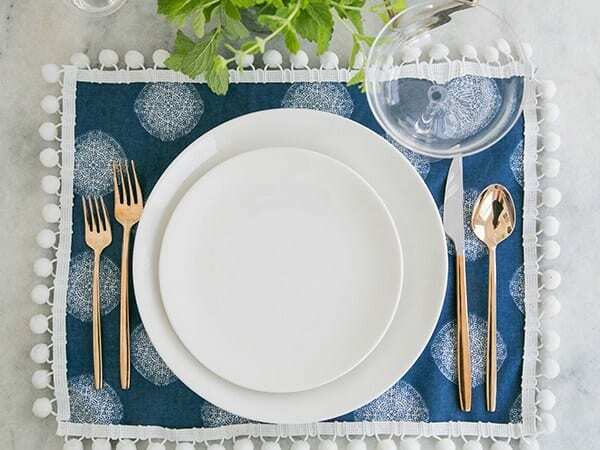 Easy entertaining at its best! I found the chic fabric and pom pom edging at Jo-Ann Fabric and Craft Store and sewed them together! 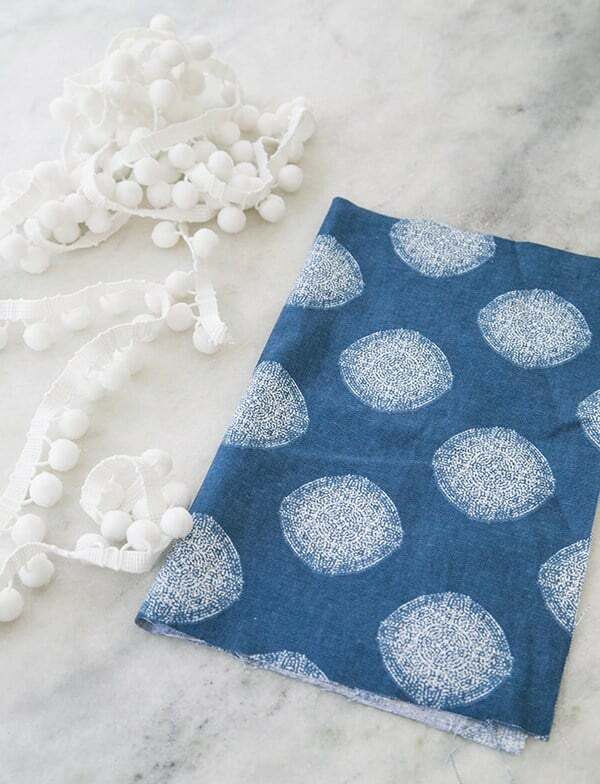 You can add a lining if you want, which will make your pom pom placemats a little more sturdy. Enjoy and stay charming! Supplies: 2 yards of your favorite patterned fabric, 4 yards of pom pom edging, a sewing machine, white thread, ruler, fabric scissors. Directions: Measure and cut the fabric to 13 x 17 inches. If you’re doing a lining, cut that as well and sew them together, with the outside of the fabrics facing out. 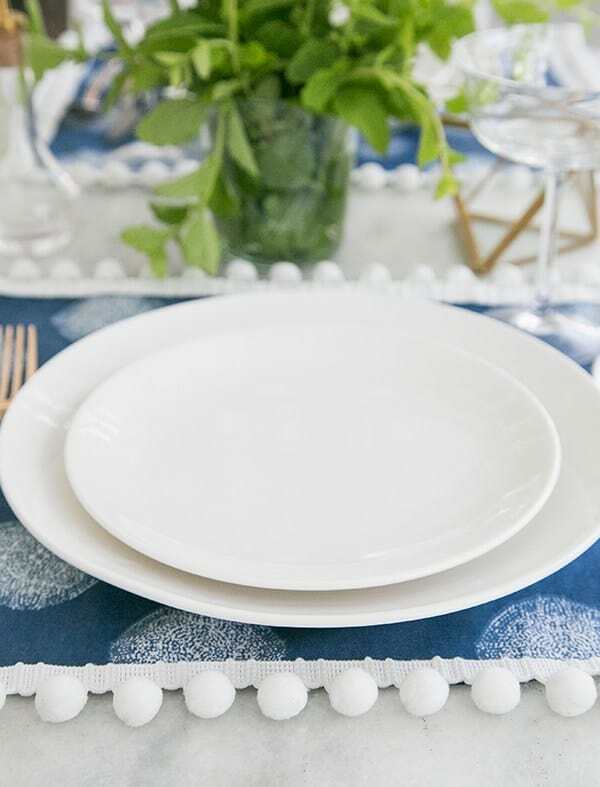 Then cut the pom pom edging to fit each side of the placemat and sew along the edge, overlapping on the blue fabric to cover those edges. That’s it!! Indoor S'mores and Marbled Marshmallow Recipe!